It’s not about the games. I’ve made myself known to people as somebody very interested in games (in a learning perspective, but – hopefully – also in general). It’s a gnawing feeling that has only been growing stronger. Basically, I don’t think games will solve anything. It feels odd to be the one to say, that "games in education" is not the most important thing. Nonetheless, that's what I find myself doing. When I talk about new ideas that truly matters to me, I get quite a lot more nervous than usual. I love that situation. I had too much to say (as always), forgot to breathe & was generally a bit confused. Otherwise, my #SETT2014 talk went well, I think. There’s a lot of content in that presentation, and I had to rush several things during my talk. I’ve been thinking about this, and feel that it might be a good idea to examine a few topics in further detail. Ok. We’ve established that I (still) like games. One thing is all the fascinating games out there. While there’s always room for improvement, I’m quite opmistic & excited for what’s happening in this field. It’s another and more problematic thing to ask if “games work” in education, but that particular question is an incredibly popular one. Control? Transmitting knowledge? Maintaining “the banking concept of education“? Education should seek to create the best possible foundation for people to live rich and happy lives, by empowering children and young people to be in the world with other people, to make difficult decisions and to use technology to express themselves and solve meaningful, complex problems in creative ways. This is not likely to happen on a large scale if we don’t change the way we perceive of and practice teaching. It’s also not likely to happen if we use technology or even games to simply “transmit” knowledge to the students for them to internalize. I mentioned, that Minecraft is not important because it’s a great game (which it clearly is), but because it so convincingly illustrates how amazing learning can take place in very different & open arenas. I think students should be allowed and even encouraged to “poke” education “with a stick” and “playing with it to see if it breaks”. It would definitely challenge our desire to control whatever happens in the classroom, but that control was always an illusion. If we want students to become innovative & entrepreneurial people who feel competent to engage & shape the world, we need to do this. The same goes for allowing students to figure out what it means to be human and make choices to impact the life they want to live. But one thing I can tell for sure: the act of making games about social issues, has always been a profound transformative experience for me. I came to the conclusion that there is a greater liberation potential in designing games rather than playing games. I argue that next step of games for impact doesn’t lie in some technological advancement but rather, in helping people to engage with the practice of game design. How often do we talk about the liberating potential of education? And if all education does is teach us to follow the rules of education, how liberated are we really? If education is not liberating, what is the purpose? Having very clearly stated that I haven’t reached any conclusions, the only thing I dared say, is that we need to cultivate communities of play. We need to create spaces for playful experimentation, where we don’t assume the answers (or the questions) are given beforehand. Building communities & supporting a change in culture in education is, IMO, much more important than #edtech. It won't just happen. It’s probably also one of the most difficult and intangible. How do you create safe spaces for play, where adults feel playful? How do you nurture communities, where playful experiments is the norm rather than rare exceptions? 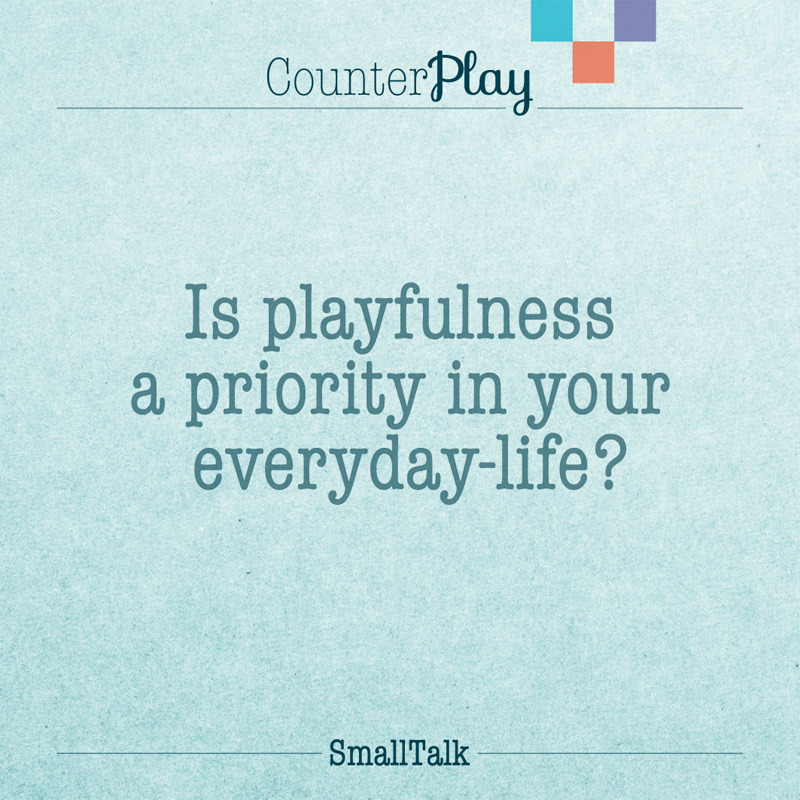 Where we live life in playful ways rather than merely play a game from time to time? Luckily, much is happening in this direction already. Lots of amazing festivals & conferences are emerging for different audiences around the world. People like lifelong playful veteran Bernie DeKoven continue to show us how to be more playful in all aspects of life. As for my own work, the festival CounterPlay is my most ambitious attempt so far at cultivating such communities, and to bringing people together from many different domains (see reactions from the first edition, which has held in Aarhus earlier this year). Posted on June 17, 2014 June 17, 2014 Categories Games in education, Playfulness, UncategorizedTags SETT2 Comments on It’s not about the games. Do we need games for learning? I have again and again argued, that most learning games (or what we choose to call them at any point in time) are often quite disappointing. At the same time, I still believe good (learning) games are relevant – as one tool among many. There’s of course also the ongoing discussion whether or not it even makes sense to distinguish between games and learning games. All games are about learning something, and games can be extremely relevant in education without being actual learning games. Furthermore, in many learning games you end up spending too much time on learning something, that is external to playing the game. Games like Papo & Yo, Cart Life, Papers Please, and (the elephant in the room) Minecraft are brilliant examples of games that are not built explicitly for learning purposes, but which are nonetheless challenging players intellectually and emotionally. Regardless of this discussion, and regardless of my hopes for better games for learning, what we really need is not learning games. Or any kind of games. Or teaching materials or technology in general. What we really need is not technology (as such), it’s better, more meaningful and relevant educations. This might seem obvious, so why am I spending the time writing? I am very concerned that we (again) end up perpetuating the mistaken belief that technology is some kind of holy saviour. I see these overly optimistic headlines all around the world, stating that games or play or MOOCs or Flipped Learning or [whatever hypeword tomorrow brings]…will save education and eventually the world. I don’t care much for such predictions. To be honest, I think it’s utter sensationalist nonsense. To boil it down, tech will solve nothing. We may have new opportunities with new technologies, but it requires changes in the way we think, work and organize ourselves. Changes won’t just magically follow in the wake of technological innovations. Here in Denmark, I’m part of a forum hosted by the Ministry of Education, where we are looking at the field of “digital teaching tools”. While I unequivocally applaud the initiative, these meetings often leave me confused, because what are we talking about? Do we just want better teaching tools/technologies? We do, of course, but I’m struggling to figure out how much emphasis we should really put on this, and how much we should put on changing the structures, cultures, goals and purposes of education. If we think of games as nothing but more efficient means to simply transmit knowledge to the students, but otherwise change nothing, we’re not really getting anywhere. That would just be reinforcing the notion of students as recipients and consumers of content. What is really important in education, then? Education should seek to create the best possible foundation for people to live rich and happy lives, by empowering children and young people to be in the world with other people, to make difficult decisions and to use technology to express themselves and solve meaningful problems. There’s much more to it, of course, but I generally think about education as a way to learn how to be human, how to be social, and how to be and act in the world. …and this is where we can really learn from games and (not least!) play. The “magic circle” of play creates a safe space, where we can experiment with roles, with scenarios, with being in the world, with being together, and we can do so in creative ways driven by curiosity, excitement and joy. These activities can be structured like games, or assume a more loose, playful and less controlled structure. Remembering Salen & Zimmerman’s definition, “play is free movement within a more rigid structure”. Education then becomes a question of striking the balance between structure and freedom, with emphasis on the latter (if you ask me). The “free movement” is essential if we want students to take ownership of their own learning. None of this is about technology. No, it’s much more important than that. It’s about how we’re being humans. Together. Posted on April 28, 2014 April 28, 2014 Categories Games in education, Play, Uncategorized2 Comments on Do we need games for learning? I never stop thinking about the perils and challenges of contemporary education, and the pivotal component of my overall mission is thus contributing to improving education. This is a silly question, as it somehow indicates that it can actually be answered. Obviously, there is no one answer and none of us will probably ever comprehend the true complexity of our intricate system of education in its entirety. Even so, we should never cease asking hard questions and providing new and creative solutions to the challenges ahead of us, leaving the beaten track without the old and possibly worthless maps of yesteryear. As I am constantly navigating the intersection between education and video games, I consider looking to games development for inspiration a feasible suggestion. Some time ago, I read the article “Game Jam Your Studio!” by Blake Rebouche from BioWare Austin. He argues, that doing experimental game jams with your game studio “is so much better than bowling, the normal team exercise everybody does”. Where it is obvious to do gamejams within a games company, the idea of “jamming” may very well be adopted to the area of education. And why go through 48 hours of: very little sleep, hard work, great ideas, crunching, problem solving & technical issues? Because a game jam encourages innovation and experimentation. It is one of the vehicles behind the new generation of game developers that can experiment with platforms and game ideas in an intense and yet still informal atmosphere. 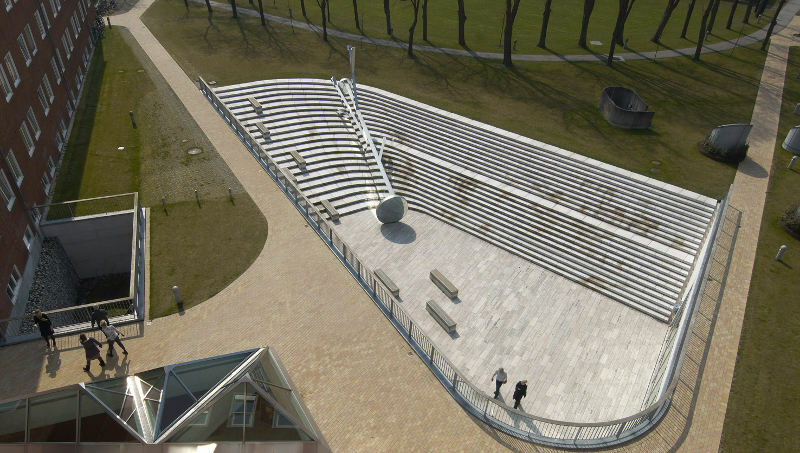 This is the space where the new generation of talents can be found. 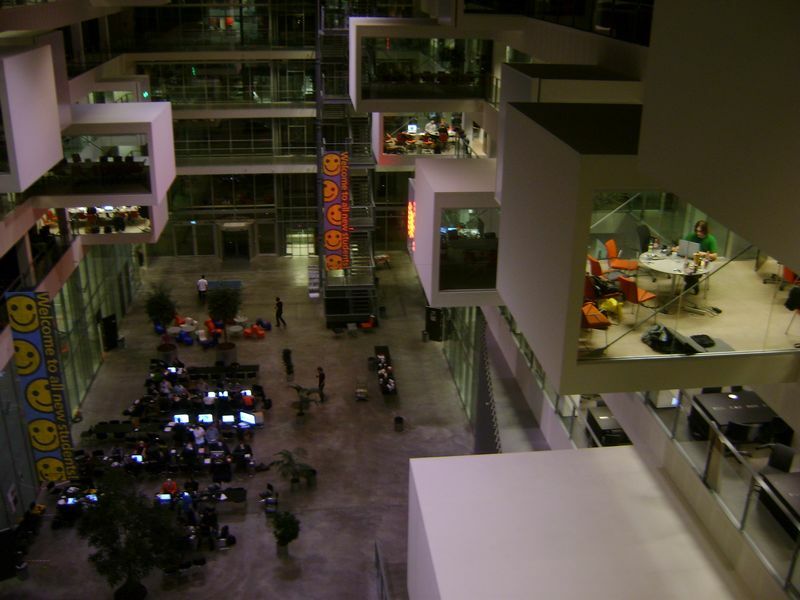 Nordic Game Jam > Nordic Education Jam? In addition, the game jam is described as being “more like an “idea space” rather than competition, where participants can challenge their skills and ideas”, which again indicates the value of these intense and problem-oriented projects. We need “innovation”, “experimentation”, “idea spaces”, and “challenging skills and ideas” everywhere in society, but perhaps first and foremost in education. Actually, we need to think of education as an idea space in itself, and as a site of constant experimentation, where we maintain a desire to challenge what we think we know. Think about “education” as a dynamic concept, which never reaches any final stage. Doing an education jam along the lines of the far more widespread game jams might help us reach upon such an understanding. It can be done at the level of the individual institution; gather your teachers for an entire weekend of creative experimentation, where all the traditional concepts of education are challenged, and everything is possible. Build a somewhat structured framework, perhaps with a set of “rules and constraints”, like most game jams do, and allow groups of teachers to imagine scenarios, build prototypes and concepts and afterwards try them out in class. Another possibility would be to do a Nordic/Global Education Jam. Imagine that; summon a large number of dedicated, creative teachers and relevant practitioners, release them from the everyday constraints (if only for 48 hours) and indulge them to work out new experimental solutions. I love conferences; if nothing else, I always get to see things from new perspectives. I am not expecting revolutionary breakthroughs, nor am I necessarily expecting to learn anything concrete; just being able to have a peak into other peoples work, ideas and conceptions is enough. This in itself holds great value, I would argue. Thus, my enthusiasm is (almost) always quite high when attending this or that conference. When the subject is as near and dear to me as games based learning (this, after all, is where my currently ongoing and complete wonderful journey took off), I am like the child in the candy store. So obviously I was greatly satisfied simply by participating at the European Conference on Games Based Learning, which this year was taking place at The Danish School of Education in Copenhagen. With the conference just concluded, my head is full of thoughts, ideas, words and coffee, but I’ve pledged to jot things down in an attempt to capture my immediate feelings and sentiments (pledged to myself, that is). As I walked away from the charming buildings housing the conference, my impressions seemed to center around three particular topics, which I will elaborate a bit upon in the remainder of this post. If you had the patience to click through all of the above, you will see why I am going on about something, which might at first glance seem to be going in the wrong direction. As my argument goes, we simply need to understand games in order to fully understand and be able to harness their potential in any games based learning scenario. This also means that I am not missing a single opportunity to stress the importance of linking to the knowledge accumulated in the fields of game studies and game design. Games based learning consists of “games” and “learning”, but learning seems to me to have been given the higher priority; perhaps because researchers within the field were first and foremost interested in learning? Whatever the reasons, we simply sometimes tend to forget that it is just as much about understanding the game, their characteristics, special affordances, inner components – and so on. I did go rambling about this issue earlier, where I concluded that ““teacher’s game literacy” is a highly important factor greatly influencing the potentials of including games in education (in all the many variants)”. After the conference I feel even more certain that this is definitely the case. This goes for researchers and developers of learning games, but also the educators supposed to apply GBL in practice. We all make assumptions and even the best and most thorough of researchers are to some extent conducting their work in accordance with these underlying assumptions. Our preconceptions might get reinforced to such a degree that they establish a discursive hegemony and become the only valid way to see and talk about a topic – but this does NOT mean that they are universally true. Despite their durability, we are able to challenge these assumptions, though, and this was stressed as essential by many speakers. I couldn’t agree more, as much of our potential progression depends on our willingness to continuously attempt to work, talk and think differently. The most widespread and (perhaps) misused of the above assumptions, as it seems, is that of motivation. When talking about GBL, most people take ”motivation” or ”fun” as their point of departure. It has thus become a popular habit in our “community” to automatically assume that students find games to be fun and motivating, thus providing a much desired catalyst for learning anything within the framework of the game. We find this argument everywhere, and even the best of us have heard ourselves talk about the potential motivating factors of introducing games in class. Kids play games voluntarily all by themselves, so games must be motivating, right? What is worth remembering, however, is that those performing game studies have not yet reached upon any consensus as to what exactly makes games motivating. Schell is clearly making a case for extrinsic motivations in the form of achievements and rewards as the primary driver of player engagement. I am not one to pass judgment on his ideas at this time, as it doesn’t matter whether he is wrong or right. What does matter is that the highly vibrant and dynamic community of video game researchers and bloggers quickly picked up on Schells talk, putting it under critical examination. Danish video game researcher Jesper Juul, among many, assumed a critical position, and the blog Critical Distance did a nice compilation of the perspectives. One argument was that extrinsic motivation in the form of rewards would be outgunned by intrinsic motivators in the long run, but many other notions was brought to the fore. The point is that if these rather competent people are not able to explain what makes games motivating, how can we just somehow assume that they actually are? And if we do assume that games have the potential to motivate, we must make more of an effort to explain why. …which throws me back to the preceding paragraph; to understand why games can be considered motivating, we must understand the game itself. Should I bring a suggestion to the table I would look towards the simple, yet complex concept “interactivity”. Games are by some considered a “series of interesting choices” (to quote the famous game designer Sid Meier), and many players of games like to make choices and feel responsible for the corresponding actions within the game. In my experience, this also helps explain the situations when students involved with GBL are more motivated to work with the game; they feel empowered and in control of their own learning process. As a side note, even if games are actually particularly motivating, we can’t just leave it at that. Motivation is not really that interesting in itself but must be directed in certain directions in order to support the specific learning goals. What good is it, that I am highly motivated – if not motivated for anything in particular? Or perhaps I am motivated to counter the teachers’ agenda? (a point also made in a great talk by Kieron Kirkland from Futurelab). My third and final observation regards the relations between our existing school practice and the (ideal) practice of GBL. Some researchers see a (unbridgeable?) gap between these two, and may thus be inclined to deem GBL incompatible with formal educational settings. But what if these “formal educational settings” are incompatible with the surrounding society? What if GBL may in some respects better support the needs of contemporary society than current curricular demands? What if we would be better off not trying to cram games into the existing framework, but instead mobilizing games in order to revise and challenge this framework? I got carried away there, and may also be a bit naïve and unrealistically idealistic, but I am just reluctant to let down my visions and ambitions in this field. And hey, why not allow ourselves to be somewhat idealistic from time to time? Reach for the stars and all that mumbo-jumbo, right? Our educational systems = supertankers? The educational sector is often compared to a supertanker because of its immense size and inherent inertia. But here’s another metaphorical assumption which is not necessarily promoting what we want to achieve. If we promote the idea of a supertanker, we promote and reproduce the idea, that changing anything is effectively out of our reach. The framework of education can be changed, even though it might obviously take both large amounts of time and hard work. We must ask the difficult questions and try, at least, to provide the complex answers. This brings me back to the first keynote speaker of the conference, Suzanne de Castell, who made a great impression on me. Castell is doing intervention research, because – in her words – not intervening risks rendering her research ethically problematic. I am paraphrasing here, but I would consider it equally ethically problematic if we know what would be the best solution – to challenge existing practice – but still choose the easiest solution – to integrate into existing practice, thereby reproducing it. It is not always a matter of ultimate polarity, I know, and I often do end up being the pragmatic realist. But for now I allow myself to dream of a world, where we have the courage to go all the way. If nothing else, this fantasy might inform smaller changes. Welcome to my personal blog, which is an attempt to create a single focal point into my thoughts, ideas and activities. As indicated by the subtitle, “thoughts on games, media and learning”, I will primarily focus on digital media, learning and related subjects. This is my passion and pivotal field of interest – both privately and professionally. I consider learning a social process of constant interaction and exchange, and therefore I truly hope for this to become a space of exactly that – interaction and exchange. Please, comment and challenge my writings. Only together are we becoming smarter.